Inspired by a tutorial for free-motion quilting, I pulled out my machine’s manual and dug through the accessories case to identify the darning foot. 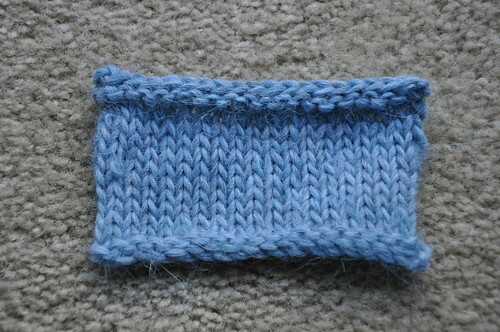 With stitch width and length set to zero, as advised, I attached the foot. At first, I didn’t see how it would fit, but soon realized that the metal loop at the back would work as a spring, floating the foot above the sandwich. 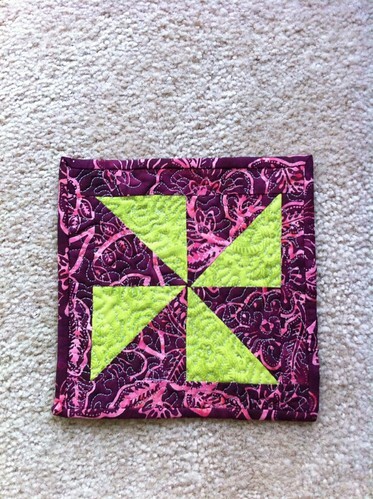 To practice, I pieced a pinwheel block with half square triangles. With the ultimate goal being a mug rug, to replace the (un-hemmed) scrap on my computer desk that had been serving as a coaster. The pinwheel block was also a first, and I noticed that the center seam, where all points came together, was bulky. But, I figured it would work out (it always does). The stippling was jagged but functional. Until the middle. It was a crack of thunder when the needle broke. 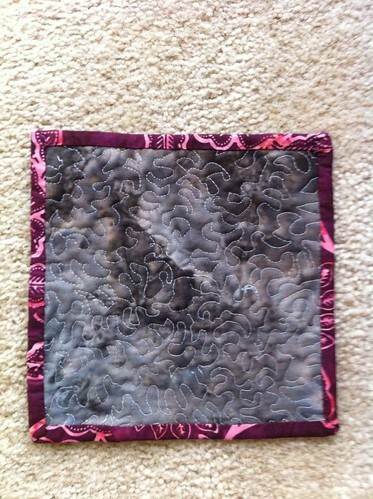 I was able to finish the quilting, but now the needle doesn’t center in the foot. It has sliced through the plastic, and worn its own groove in the foot. I’m going to order a new foot before trying again, but am very happy to have a stylish, new, over-sized, coaster.